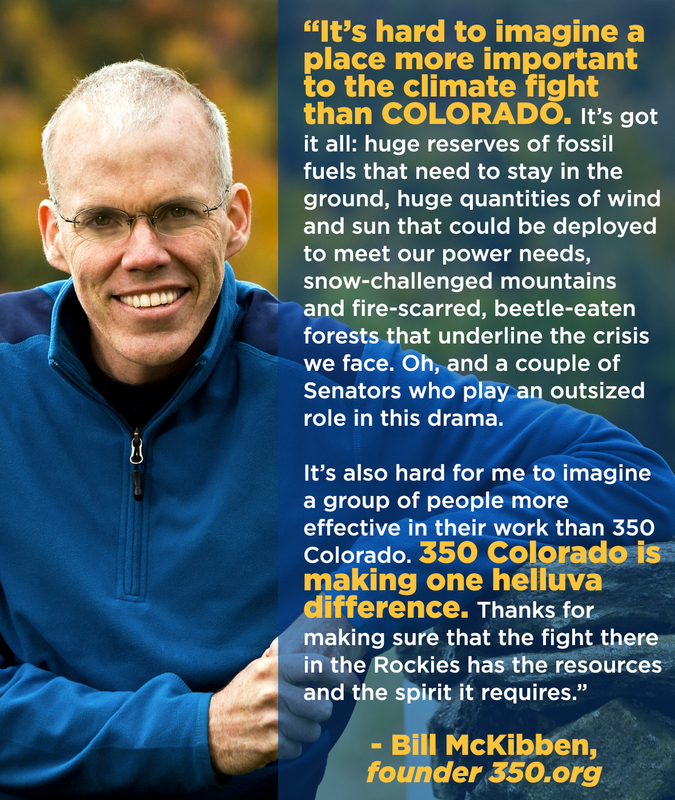 350 Boulder is working locally to help solve the global climate crisis and transition from fossil fuels to a sustainable future. We promote local clean energy, locally-grown organic food, low-GHG planning and transportation, safer setbacks from fracking, and a community that’s resilient to the challenges we face from extreme weather and ever rising fossil fuel prices. We are focused on municipalization, fracking in Boulder County, the fracking ballot measure and divestment. We meet monthly and are happy to welcome new members to our team to help lead the transition to a safe, healthy future! Come to our monthly meeting, held on the second Thursday of each month at the Unity of Boulder Church from 6-8pm.